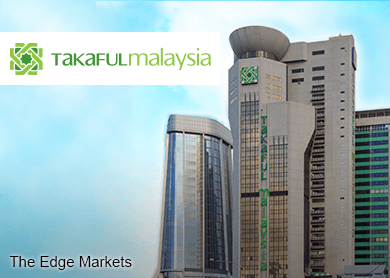 KUALA LUMPUR (May 12): Syarikat Takaful Malaysia Bhd's chief said the Islamic insurer had performed well in the first quarter, which paves way for record financials in the current year. Syarikat Takaful (fundamental: 0.95; valuation: 1.5) group managing director Datuk Seri Mohamed Hassan Kamil said income growth would be mainly supported by its robust employee benefits business. "Based on our first quarter performance which will be announced before the end of May, we think 2015 will be another record year for Takaful Malaysia. "Looking at the events in the recent months, I believe this year will be a good year for Takaful Malaysia," Mohamed Hassan said at a press conference held in conjunction with Syarikat Takaful's annual and extraordinary general meetings today. He said Syarikat Takaful, a 60.31% subsidiary of BIMM Holdings Bhd, had managed to secure a few major clients in the first quarter ended March 31, 2015 (1QFY15), in the employee benefits segment. "Premiums in the segment average in the millions (of ringgit) per customer," he said. In FY14, Syarikat Takaful reported a higher net profit of RM140.52 million, compared to RM139 million a year earlier. Revenue however fell to RM1.65 billion, from RM1.71 billion. Today, Mohamed Hassan said Syarikat Takaful was open to merger and acqusition (M&A) opportunities. He said this was due to the expected restructuring of the takaful industry, following the Islamic Financial Services Act implementation. He said the group would look for acquisition targets in 2017. "With the Islamic Financial Services Act that has come into play, all composite insurance and takaful operators are required to split their company into family and general. "With the restructuring taking place, we anticipate some opportunities for M&As. We'll see if there will be any good opportunities for us," he said. At 3:09pm, Takaful Malaysia shares fell 14 sen or 1% to RM14.60, for a market capitalisation of RM2.38 billion. The stock saw thin trades of 5,200 shares.